Have you fallen head over heels for one of my wallpaper murals…but wondering how to remove wallpaper when you’re done with it? Worried you’ll spend hours removing it when you’re ready to take it down? Are you worried you’ll ruin the wall underneath (maybe pulling the paint right off)? I took the time to create a video so that you can see how to remove my pre-pasted wall murals. But first, I want to give you some peace of mind when buying a wallpaper from me. Great news…I only sell removable wallpaper! Yay! You DON’T need water, gel removers, natural solutions, scoring tools or steamers to take my wall murals down. It WON’T take you all day to remove…not even hours (your mural will come off in just minutes). It WON’T ruin your walls – they’ll be as smooth as the day you hung your mural. NO paint coming off with it and NO glue residue left over! So here’s how to remove wallpaper you bought from me! Don’t believe me? Take my client’s word for it! Do you sometimes feel skeptical of what businesses claim about their products? I say it’s removable, but is it really? 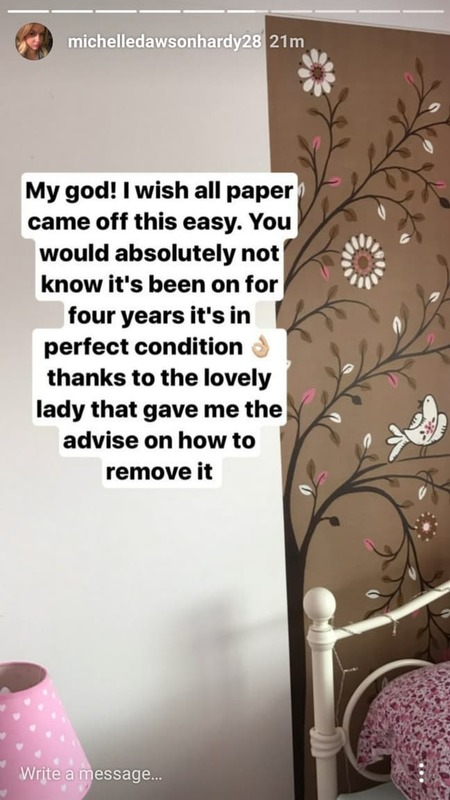 Well, my client Michelle message me on Instagram asking how to remove wallpaper she bought from me. 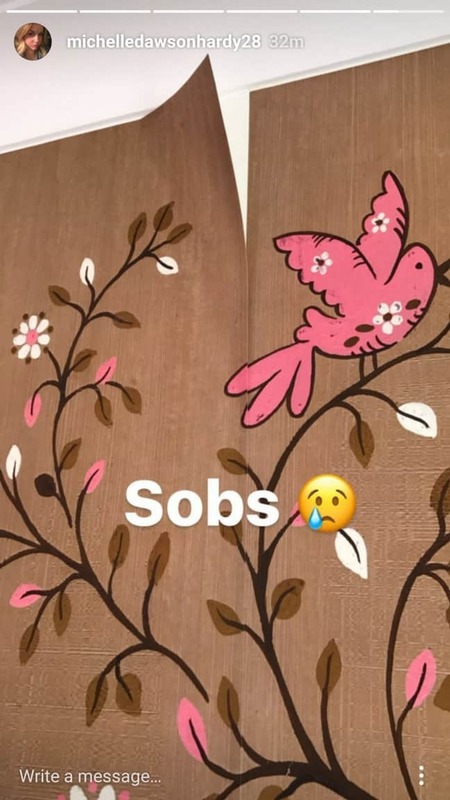 Here’s her InstaStory about how easy it was for her to remove her daughter’s wallpaper. 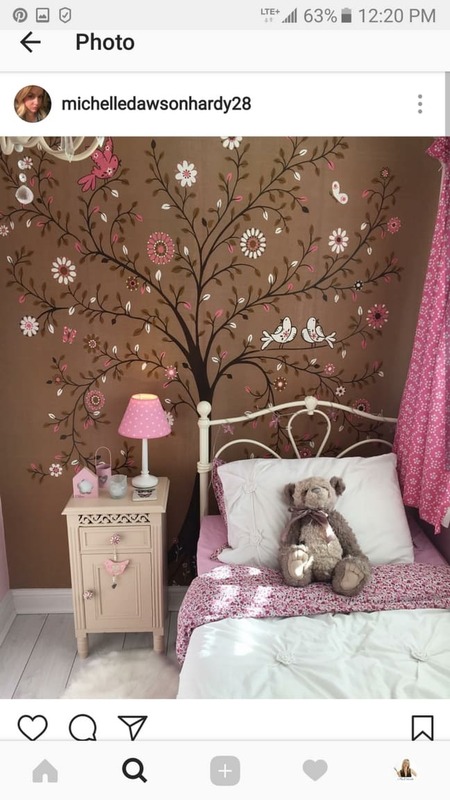 Michelle’s daughter outgrew the Tree of Life wall mural. Here’s a pic of how it looked before Michelle took the removable wallpaper down. Sooooo pretty! Michelle was so sad that her baby girl is growing up (and growing out of her pink room)…but at least the peelable wallpaper came off easily. Just like I do in my video below, she just peeled a corner away at the seam. And presto…easy peasy! The panels pulled right off the wall. Oh…and if you wanna hear what Colin and Justin would do with my removable wallpaper, watch this Cityline episode. Soooo funny! If you’re worried about the “removability” of my wallpaper murals, you can always buy a wallpaper sample and try it in an inconspicuous spot for a week or two. See for yourself how it just peels off. If you read all the way down here, I want to say “Wow!” and “Thanks!” with a special surprise just for you. I so appreciate you checking me and my wallpaper out!